Car accidents can leave you feeling overwhelmed and unsure of which steps to take next. It all happens so quickly and without warning. If someone else’s bad driving is to blame, you might even feel angry. You may be in pain too — not only physically but mentally. Car accident victims almost never see their injuries coming, and they’re often surprised by just how much hassle awaits them in the insurance claims process. Sadly, auto insurance companies make recovery much more difficult than it ought to be. Their initial settlement terms usually do not represent the full value that victims are owed. If you or someone you love has been injured in a Washington car crash, you might be entitled to a larger amount of compensation than you realize. While the at-fault drivers and their insurance companies are unlikely to offer up that full amount without an attorney’s intervention, by hiring a lawyer, you can significantly increase your chances of a maximal recovery. The car accident lawyers at Fuller & Fuller, Attorneys at Law are here to fight for every penny you’re owed. Below, we explain your rights, options, and obligations under Washington state law. We’ll also outline how we can help — without requiring any upfront costs or money out of pocket. 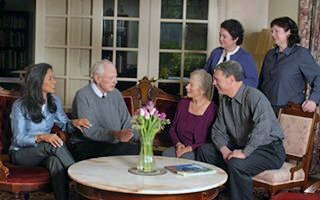 We serve clients in Tacoma, Olympia, Port Orchard and Puyallup. A car accident lawyer is your personal advocate for justice. A good lawyer understands that your best outcome is the outcome that matters. At Fuller & Fuller, we don’t take the easiest way out or the fastest route to a low-value settlement. We pursue strategies for maximizing compensation. That’s our job. The insurance companies are big and powerful, but the law requires justice, and we are here to level the playing field for the individual — the victim who doesn’t deserve to suffer setbacks for someone else’s negligence. We’re also here to deal with stressful tasks like making phone calls, completing insurance forms, collecting medical records, reviewing police reports, investigating crash scenes, and engaging in aggressive negotiation — the things you don’t want to do but which have to be done. We know how to handle those things the right way, and that’s our pledge to you. Washington state law recognizes many different kinds of damages in auto accident cases. What Are Washington’s Car Insurance Requirements? Like every other state, Washington requires each driver to maintain at least a minimal level of auto insurance coverage. While many drivers choose to purchase more than the baseline coverage, others choose to drive without any insurance coverage at all (even though doing so is against the law). Personal Injury Protection (PIP): The minimum levels of PIP are $10,000 plus $25,000 UM coverage. Washington Law requires that the insurance company provide personal injury protection (PIP) and uninsured motorist coverage (UM) unless you waive your right to PIP and UM. Be cautious about waiving your right to this important coverage. What Is Underinsured Motorist Coverage in Washington? As if being hit by a drunk, reckless, or otherwise negligent driver wasn’t bad enough, imagine learning the motorist was illegally driving without car insurance. That happens more often than you might think. In fact, we’ve seen an increase in uninsured & underinsured motorist accidents since the economic decline of the last decade. Most insurance providers in Washington offer coverage options to help protect you in those cases. Underinsured Motorist Coverage covers you if the driver has some insurance but not enough. Uninsured Motorist Coverage kicks in if the at-fault driver doesn’t have insurance at all. Many insurance companies lump these coverages together in the same provision, called UMC. In either event, you’ll only be covered up to the policy limits on your UMC provision. Choosing to carry Underinsured Motorist Coverage is a smart idea. It’s your best line of defense against drivers who ignore Washington’s insurance requirements, and it can help your lawyer pursue compensation on your behalf. While most auto insurance policies in our state include these provisions by default, you do have the option of waiving your right to these coverages in writing. Sometimes people don’t remember that they waived their right when purchasing coverage. For that reason, it’s a good idea to call your insurer today and confirm that you’re protected. What Is PIP in Washington? Washington is one of a handful of states with Personal Injury Protection (PIP) insurance, in which your policy will cover your medical expenses and/or lost income (up to policy limits), no matter who is legally at fault for the crash. PIP can make it easier for you to get coverage if you were at fault or when the question of fault isn’t clear, but it doesn’t mean that negligent drivers get off the hook. At-fault parties often have to pay back the PIP funds as part of your total settlement. The process for making those determinations is complex. As a general rule, you will want to be represented by an experienced attorney to protect your interests. The good news is that if you have an attorney, you will likely save on the amount that you will have to repay PIP. Like Underinsured Motorist Coverage, Personal Injury Protection is usually included in auto insurance policies in Washington. But you do have the option of waiving it in writing. Call your provider and make sure you’re covered. Who Will Pay My Compensation in a Washington Car Accident? In most cases, the at-fault driver’s insurance company has a legal obligation to pay for the damages their policyholder causes (up to that driver’s policy limits). The driver can also be held individually liable if he or she is at fault. What if both parties were negligent in some way, though? What if you suffer injuries and the other driver is mostly to blame — but you might be a little bit to blame too? The answer depends on the state you’re in. Here in Washington, we apply a doctrine called Comparative Negligence. It means each party assumes a portion of the fault (usually assigned as a percentage by the court — or by both side’s lawyers during negotiation), and the total amount of compensation then gets adjusted accordingly. You come to a stop sign, but you allow your vehicle to roll past it, leaving your car extended into an intersection. Then another car comes along at 100mph, runs a red light, and hits you head on. The other driver isn’t injured, but you are (to the tune of $50,000). The court might decide the speeding driver was mostly at fault, but that you share about 10% of the blame yourself. Under the Comparative Negligence doctrine, your total recovery would be reduced by 10%, for a total judgment of $45,000 in your favor. These numbers come directly from the Washington State Department of Transportation’s 2016 traffic accident report. Together, they paint a compelling picture of the serious threat on Washington’s roadways. Remember: even minor accidents can put a hefty burden on victims’ shoulders. If you’ve been in a car accident before, you know how disconcerting and painful it feels. If that hasn’t happened to you, please know that statistics show most American drivers will experience at least one minor vehicle accident in their lifetime. You might be surprised by how confusing and disorienting those first few minutes after a collision can be. But your actions at that time are very important. Take a few moments now to commit these steps to memory (or store them in your phone or inside your car’s dash compartment). Stay calm. It will be easy to let your emotions overtake you, so take a moment to breathe. Call the authorities. Dial 911. Stay put. Even if there are no signs of damage, you must wait for the police. Look for injuries. Assess yourself. Do you see any signs of injury? If so, let 911 know. Then look to see if anyone else at the scene needs help too. Take photographs. Get detailed photos of both vehicles and their damage. Take wide-shot photos of the whole scene if possible (but don’t put yourself in danger). Photograph the license plates, as well as any injuries. Notify your insurance provider. Your insurance policy probably requires that you do this sooner than later. Seek non-emergency medical attention. 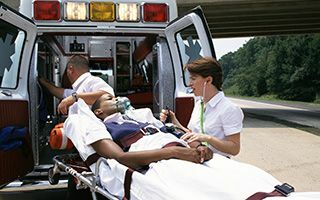 Even if you didn’t need to be transported by ambulance from the scene, you should still go to the doctor right away if you are having any pain in the days following the accident. Medical documentation plays a key role in proving your claim. We urge you to at least talk with an experienced lawyer about your options before signing any paperwork or making any decisions about legal action. You might be entitled to much more than you realize. Studies have shown that injury victims tend to recover more money if they’re represented by a car accident attorney. Don’t face the insurance companies alone, and don’t settle for less than you deserve. The car accident lawyers at Fuller & Fuller are here to fight for your very best outcome. We will not charge a fee unless we get you money. Call our office as soon as possible for a no-cost, no-obligation consultation. Strict legal time limits apply to these cases, so please don’t wait. Contact Fuller and Fuller right away. When is driving considered negligent under Washington law? When the driver violates the statutory Rules of the Road. How much is my auto accident claim worth in Washington? Because no two cases are quite alike, and because the law never guarantees specific outcomes, no one can promise you a specific dollar amount — or even that you’ll win. But an experienced car accident attorney can talk you through the realities of your case so that you have a firm idea about your prospects, your options, and how much money you might be able to recover. A lawyer can even tell you how much money people typically recover in car accidents similar to yours. How long do Washington auto accident claims take? This answer depends on several factors, including the complexity of your case and how long it takes you to recover from your injuries. The wisest approach is to get an attorney on your side as early as possible. That way, you and your lawyer can make strategic choices about when and how to take action. Your attorney can also work to prevent the other side from dragging out your claim for longer than necessary. There is a statute of limitation and the claim must be resolved, or at least a lawsuit filed, before the statute expires. Call our Washington car accident lawyers first. There might be occasions when an insurance company’s first offer is your best choice, but you won’t know until you’ve reviewed your options with an experienced attorney. In most cases, the insurer’s proposed settlement terms do not fairly represent the true value of your claim. Remember: insurance companies look out for themselves. Your attorney can look out for you. Attorney took less to achieve my settlement expectations. Jay met me at my place of employment to facilitate meeting. The kindness started from the first phone call clear to the last visit. Everyone you talk to is always ready to help and is always nice.